We have been blessed to have many varieties of birds nesting in our yard this year. 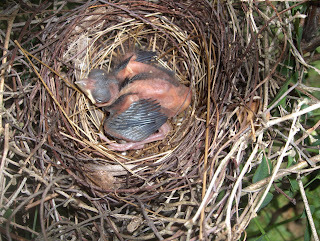 :) So far we have had: Ring Necked Turtle Doves, Cardinals , Carolina Wrens, Brown Thrashers,(I was planning to upload the photo I took of the Brown Thrashers nest as well, but I keep having problems with the upload.) 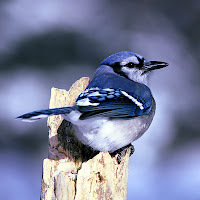 Blue Jays, and in the back woods Wild Turkey. :) It’s been so enjoyable watching all the different kinds of birds up close and seeing how the different kinds each build their nest in their own unique way. God’s creatures are all so amazing! 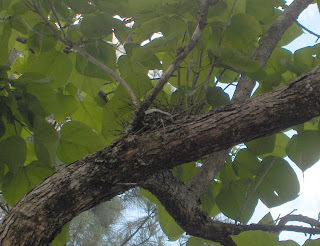 We came across this Wild Turkey nest in the back woods one day while hiking. If anyone was still wondering about the "mystery egg" after looking more online I'm pretty much certain that it was a vulture egg, not a turkey. 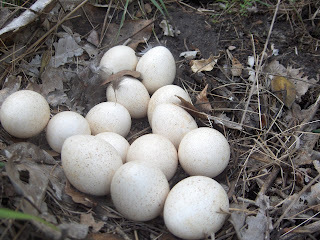 As you can see, turkey eggs are smaller and also have a slight point at one end while the egg we found in the driveway was larger and had more of an oval shape. 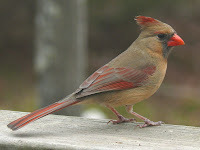 This is the second Cardinal nest we've had in our yard this year, this nest is just right outside our kitchen window. :) I was a little surprised that only one egg of the four eggs hatched. We never bother any of the nests and when I take the pictures I do it quickly without disturbing anything so I don't think that could be a problem. Does anyone have any ideas? 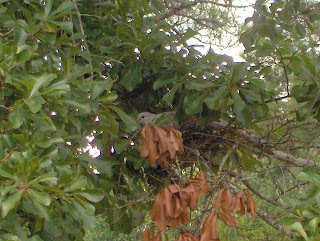 This Ring Necked Turtle Dove (photo of dove sitting on nest) has it's nest in a tree in our front yard where we can watch it while sitting on the porch. These birds are interesting in that both the male and female incubate the eggs. The male during the day and the female at night. The eggs take 15 days to hatch. 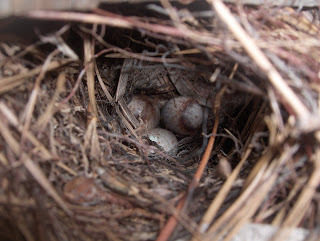 Some Carolina Wrens built this nest in our shed wall a few weeks ago. :) Wrens are such neat little birds, it's interesting at times to see where they choose to build their nests. 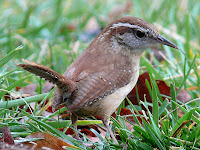 We had one once that built a nest in a hanging plant on the front porch. 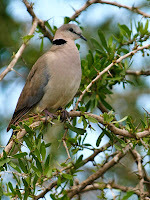 Photo credits: All small photos of the adult birds were taken from Wikipedia, the small dove photograph was taken by Erik A. Drabløs. You must enjoy watching all those birds. I enjoyed reading about the birds – living in the UK, we don't see many of the birds you posted about.